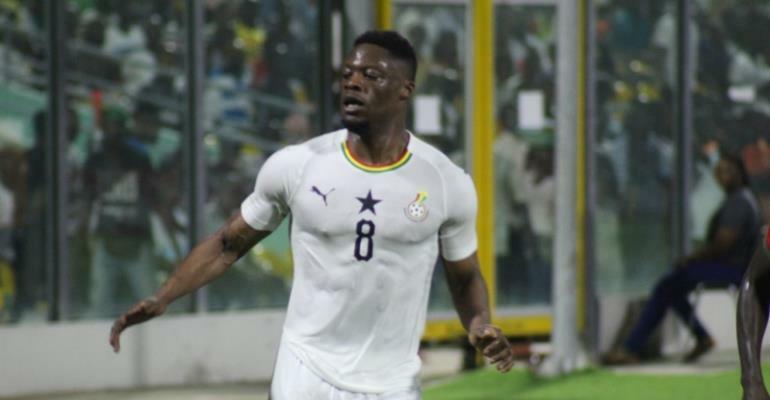 Kayersipor forward, Asamoah Gyan has hailed Black Stars new boy Caleb Ekuban for his instant impact claiming he has justified his inclusion in the team after his goal-fest debut performance. The on-loan Trabzonspor forward scored the only goal when the Black Stars hosted the Harambee Stars of Kenya in their final Africa Cup of Nations qualifiers last Saturday to claim the top spot in Group F.
Ekuban continued his red-hot form three days later when he hit the back of the twine in the 3-1 friendly victory over Mauritania. The 25-year-old’s performance has earned him applauds from the country's all-time leading goalscorer who intimated that Ekuban’s inclusion in the team to the AFCON 2019 in Egypt looks sealed due to the two striking displays. Ekuban has been impressive in the ongoing Turkish campaign since joining on loan from English Championship side Leeds United in the summer. He has provided two assists and netted four in 21 games to help Trabzonspor climb to 5th on the Turkish SupaLig and will be hoping to make an appearance at the Africa Cup of Nations.